These warm winter days have me thinking of spring and in typical Kayla fashion I am breaking out the beach outfits already! 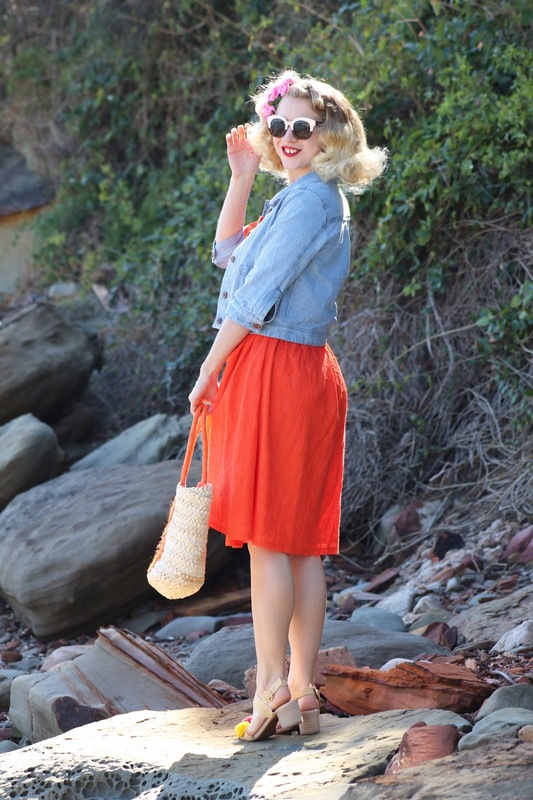 I'm constantly on the hunt for beautiful orange clothing and this Joanie dress fits the bill! 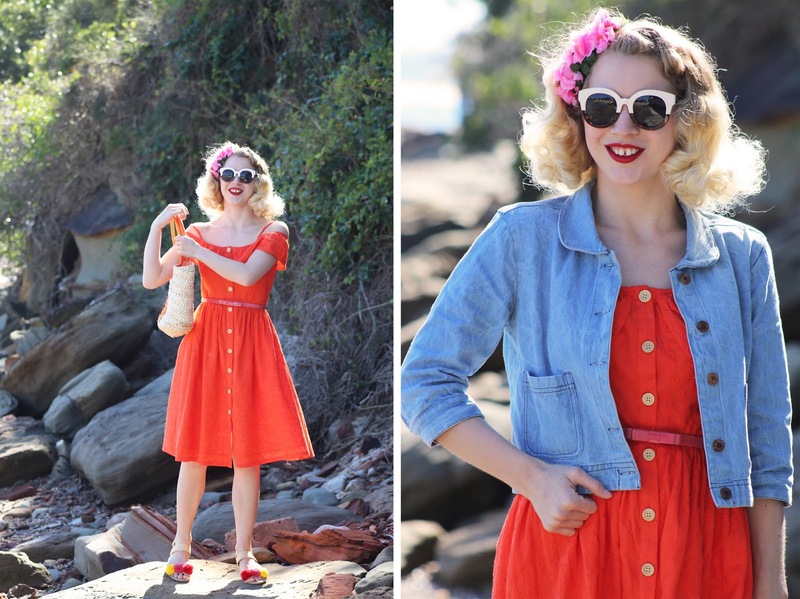 It's one of my favourite style of dresses, lightweight for summer and it is so vibrant. 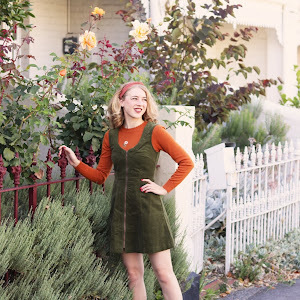 We have experienced another couple of warm winter days as we get closer to spring and luckily for me I was able to spend those days outdoors whilst wearing cute summer outfits. Joanie Clothing has really impressed me with their wide variety of clothing available, affordability and the quality of the products. 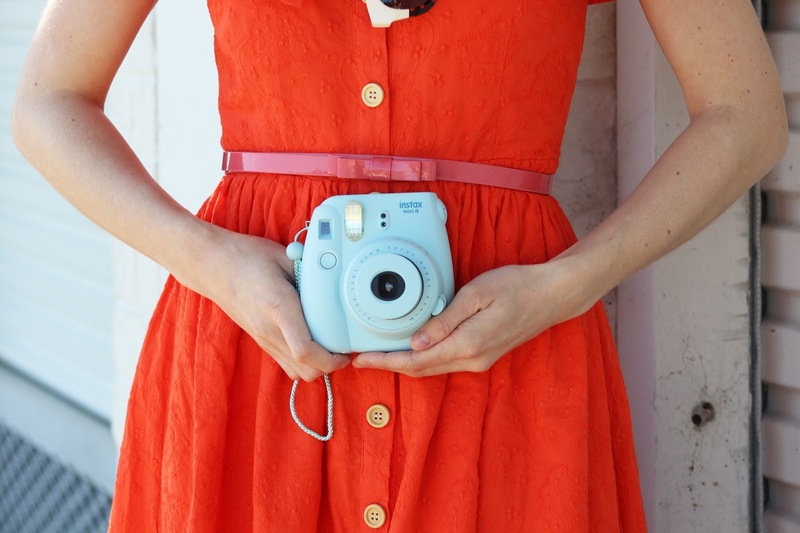 As soon as I saw this dress on the website I knew that it had to be paired with this adorable bag! 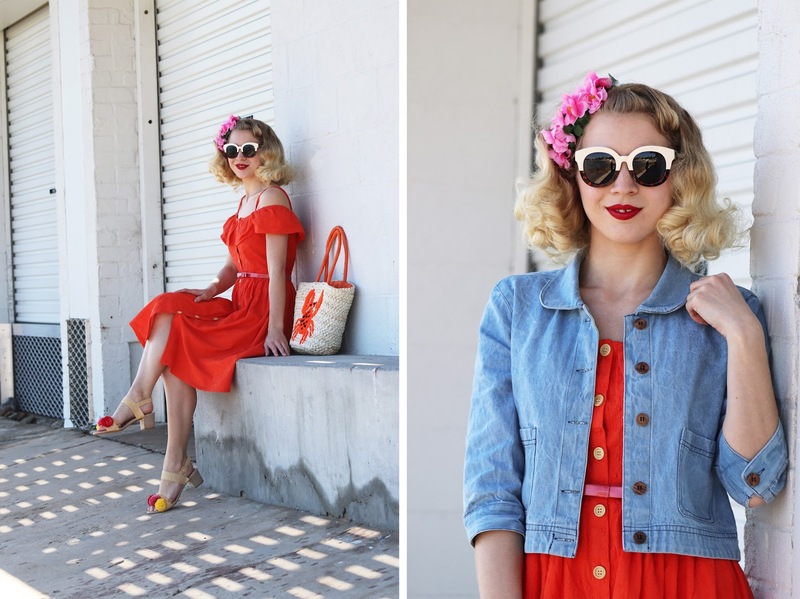 I have been really into wearing denim jackets over my outfits and this one by Joanie is perfectly cropped for spring/summer looks... (ahem, thanks for letting me borrow yours in the past mum)! I am wearing size 8 for all Joanie pieces, the dress is a lovely fit though it is a little big on the waist however with a belt it is no big deal to me. The jacket it the perfect fit - not tight at all and a comfortable fit. I'm really happy with these pieces and I have a couple more Joanie looks coming to the blog soon. 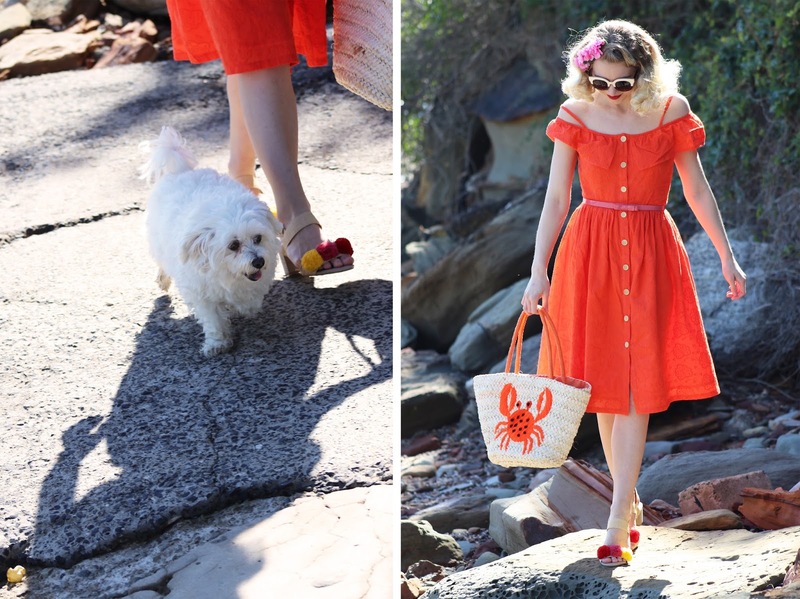 My pom pom shoes are probably my most favourite shoes, they just embody summer in shoe form to me and I couldn't help but pair them with the bright summery look. If this warm weather sticks around then it will be time to give Fifi and Leo their first haircuts of the season, they have been loving warm weather by the water and sunbathing on the balcony... Lucky little things! Very cute! 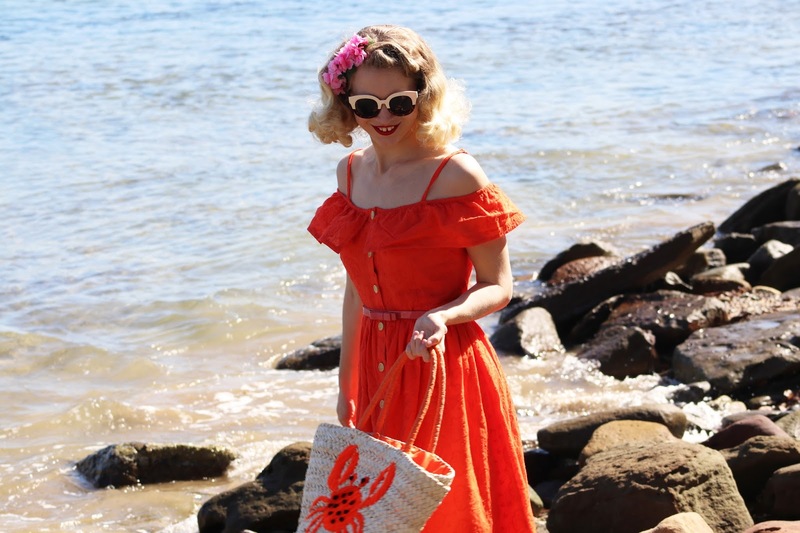 I love the cheerful orange of the dress, and the bag is simply adorable. 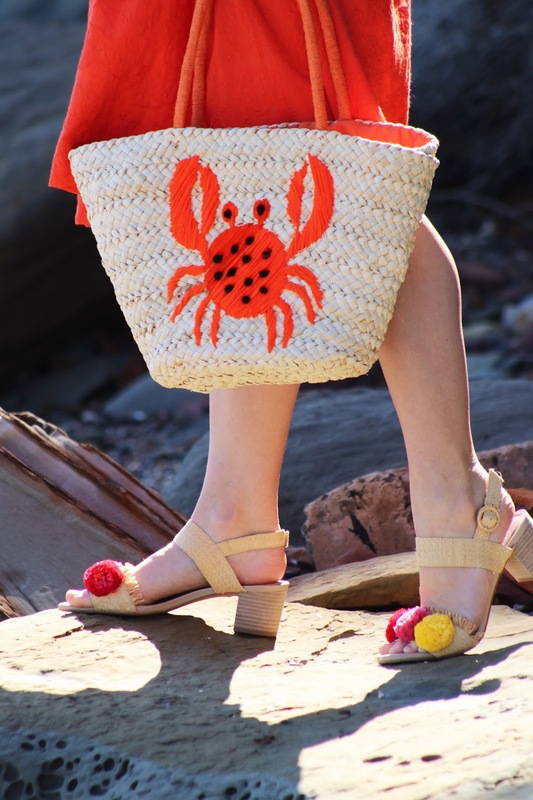 So bright and summer- and perfect with the bag and cute shoes. Just lovely! 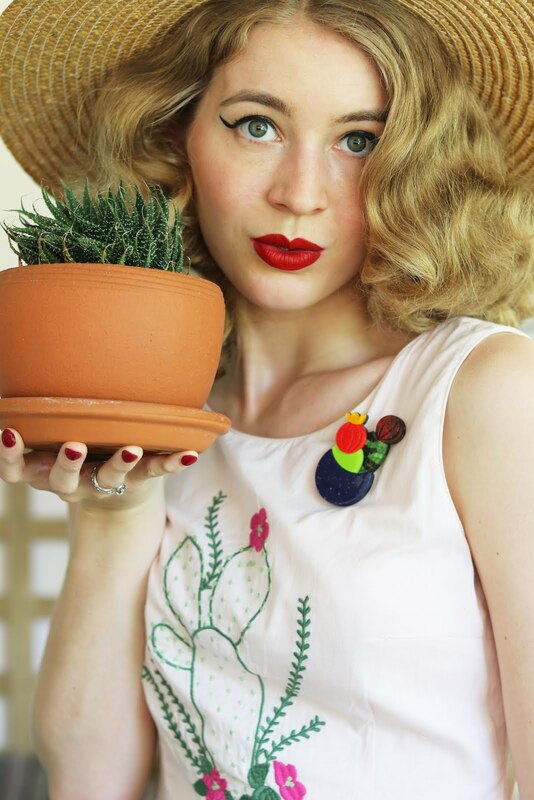 What a fab look! That orange is so vibrant and fun! 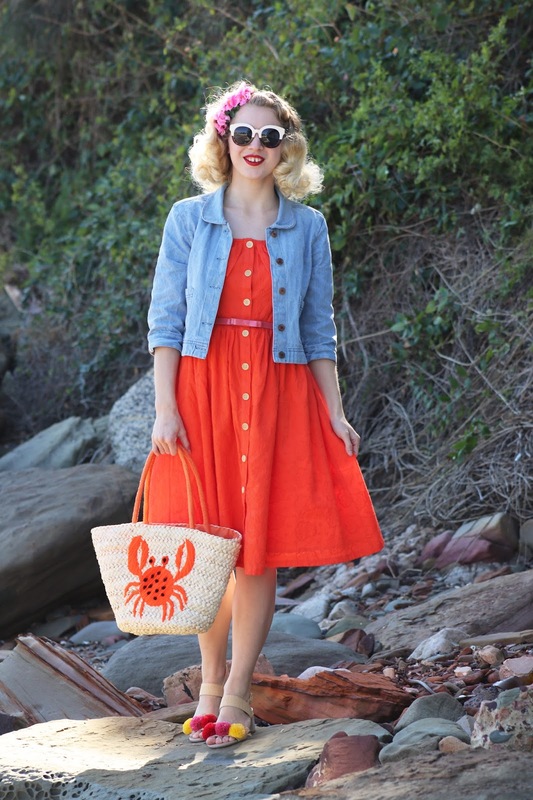 And paired with that sweet crab and the pompom shoes it comes together so well! I really love this look! It is so playful and fresh!! This dress is absolutely lovely! 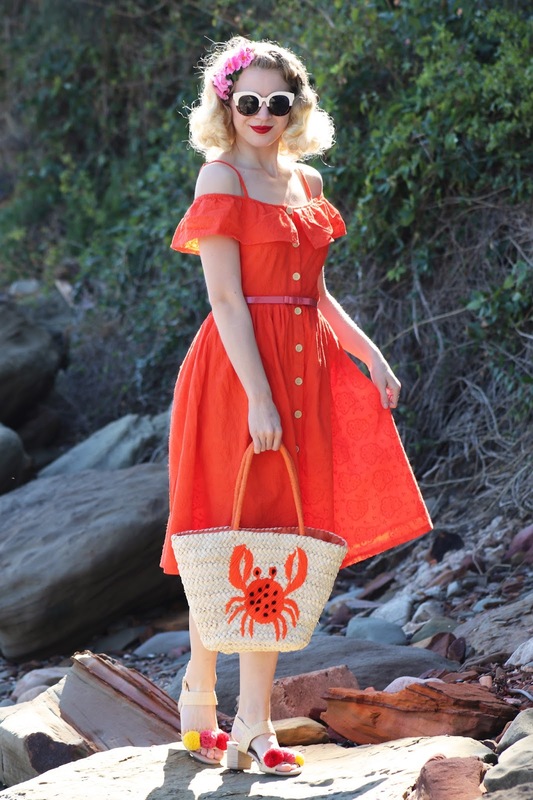 It's the perfect summer dress <3 ~ I love how you combined it with the bag, the colour of the dress makes the crab on the bag pop. You look gorgeous! 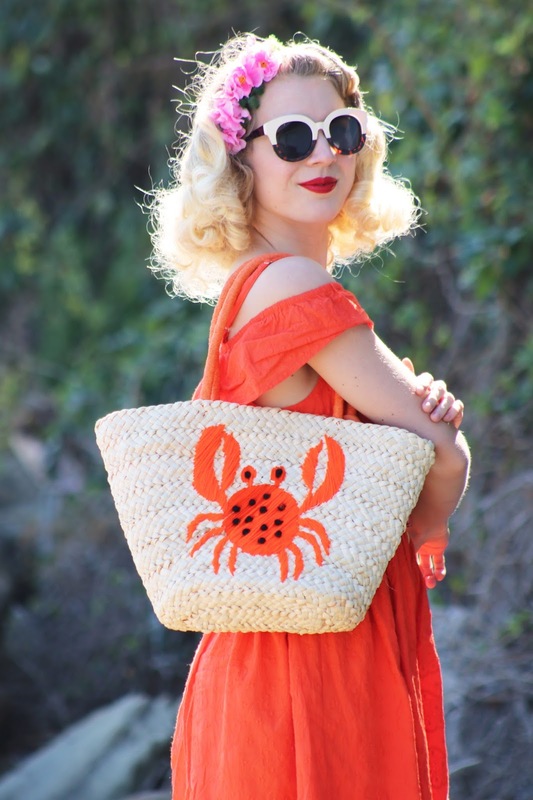 I want this bag with crab! Where did you buy it? According to Superiorpapers.com review such prints are the biggest trends now.